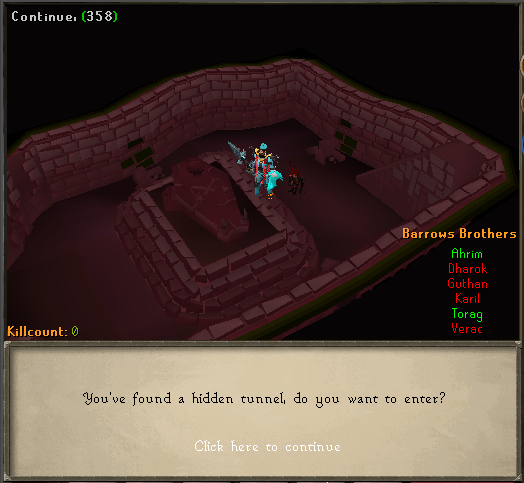 We have totally revamped barrows and now have a 100% working barrows, including crypts and door puzzles! You can now fight the 6 brothers and access the crypts to reap your rewards! Inside the crypts you will have to fight the final brother! It wouldn't be Dreamscape without some customisation so we decided to add in some juicy custom rewards for players who brave the barrows! Should you wish to get a head start and get a Barrows Pet more quickly, you can now donate for the Barrows Pet Box from the donation store to get your hands on one of the new OP pets. Today we release a new mini-raid for new players! 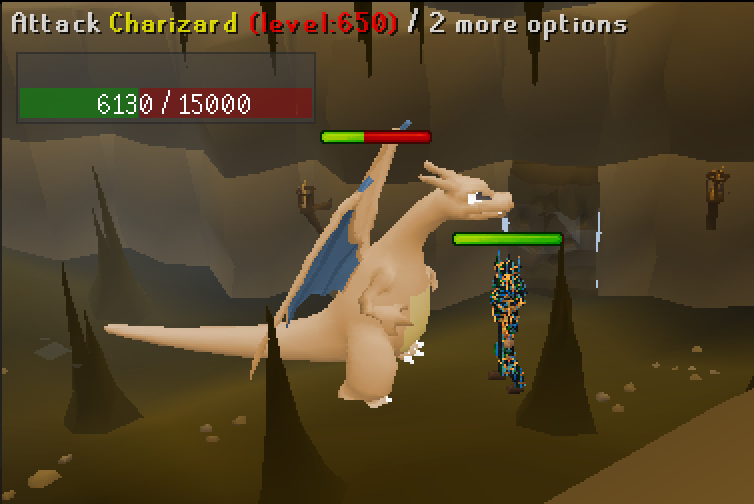 Charizard is a new boss for beginners to mid-level players, he drops between 1 - 50b cash per kill! To access charizard, you must kill 10 charmanders at the new location and then proceed through the door to kill Charizard! We have implemented full working farming! All patches and seeds are now working and can be used. This is the first step of a two stage process where we will be improving skilling and creating a bunch of custom skilling elements to Dreamscape! 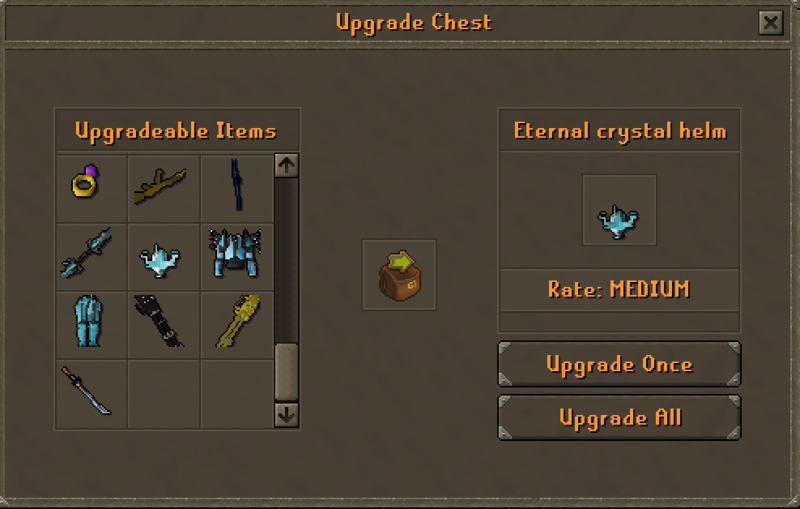 We've added a bunch of new items to the upgrade chest! We've added some additional bonuses to longclaw! Giving it 10% double drop bonus and 5% luck! This makes longclaw the first weapon in game with a luck bonus! Introducing the Eternal Crystal set! This set can be obtained by upgrading a crystal set! This set is designed to be used hand in hand with the eternal Khiones staff and when using the two together the set has an immense effect on the Eternal Khione's Staff by using the special effect twice as many times! Instead of a 1 in 10 chance of Special Attack it has a 1 in 5 chance. The Eagle pet will now bank any birds nests you gain while woodcutting! Have you received outstanding support or help from a staff member?! Have you been given a really OP donation deal by an admin?! 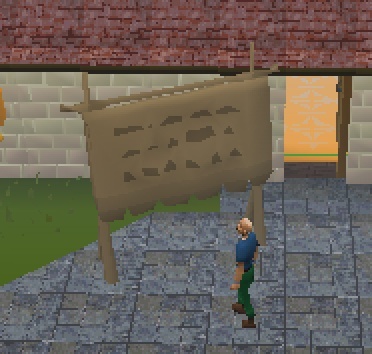 Were you guided through a clue scroll or shown how to make money?! Players can now award merits to staff members who they believe have gone above and beyond and deserve praise! Simply type ::merit in game to award a staff member a merit! This will go into a log that will be reviewed weekly by the Staff Manager and allow us to track staff activity as well as us being able to reward staff members who have received the best player feedback! We've added 50% double drop bonus to the Dream magic set making even more juicy! This set can be obtained by combining shards from the dream mystery box, bought from the donation store or bought off players in game! Today we introduce the Arcade Ring! You can purchase this ring from the arcade rewards shop and it will allow you to transform into any of the npc's from the Arcade Minigame! This will show you what items you have recently sold. We've added more user friendly potion timers that will better allow you to track how long you have left active on your potions. We've added a new system where players can earn rewards by referring or being referred to dreamscape!! After finishing the tutorial players will now be asked how they found Dreamscape! We also have a system now to let players earn rewards by entering your name when they join dreamscape and depending on the number of referrals you get you can earn rewards too! To discuss being added to this system please contact Drax with a brief description of how you aim to refer players! We've added a new slayer leaderboard to the leaderboard at home! You can select to see slayer tasks and see the top 10 players who have done the most slayer tasks! To celebrate the launch of this we will be running a month long slayer task event! We've buffed the Mega Crates! 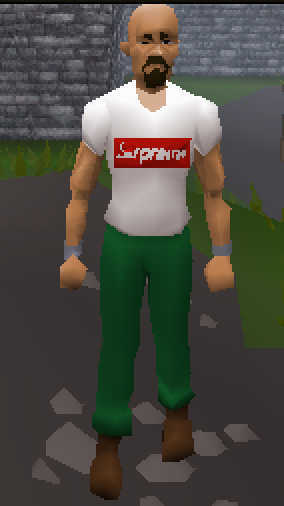 Adding in a bunch of new items including the customisable party hat, supreme t-shirt as well as 3 new armour sets!! Pick up your mega crates here! Each set is textured (Acidic, Shadow and Blood) with a whopping 25% drop rate, 25% double drop rate and 20% luck per set! 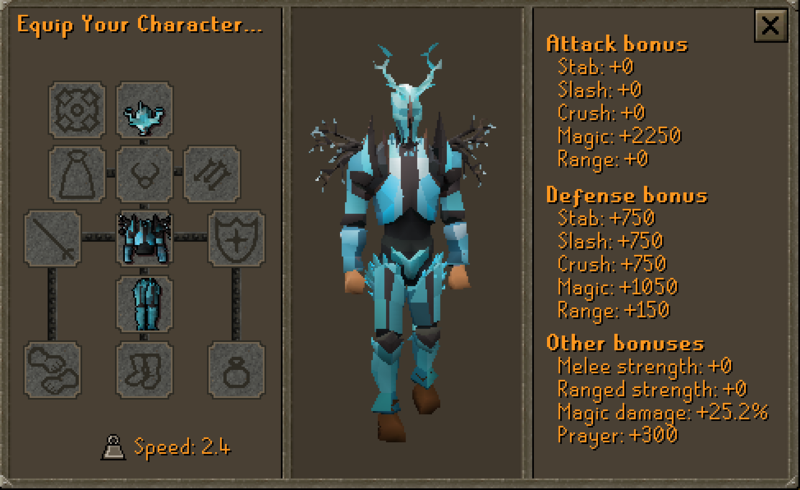 We've added some new boosting items that give you boosts that are equipped in the arrow slot! Scroll of souls gives you a 25% boost when redeeming soul keys at ::soul room as well as a giving 2x soul drops on all monsters! 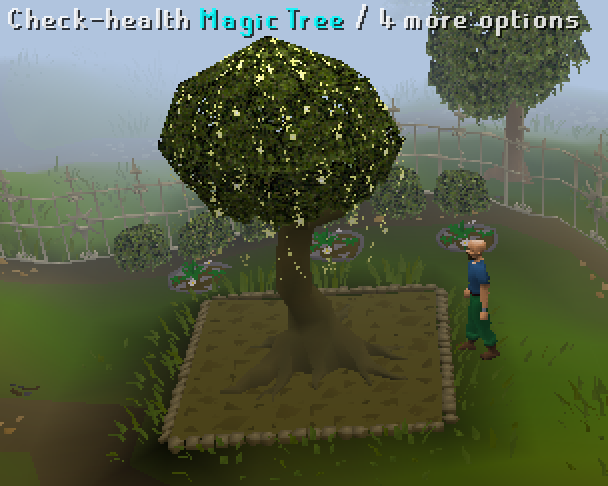 We've added a new skilling area for executive members! 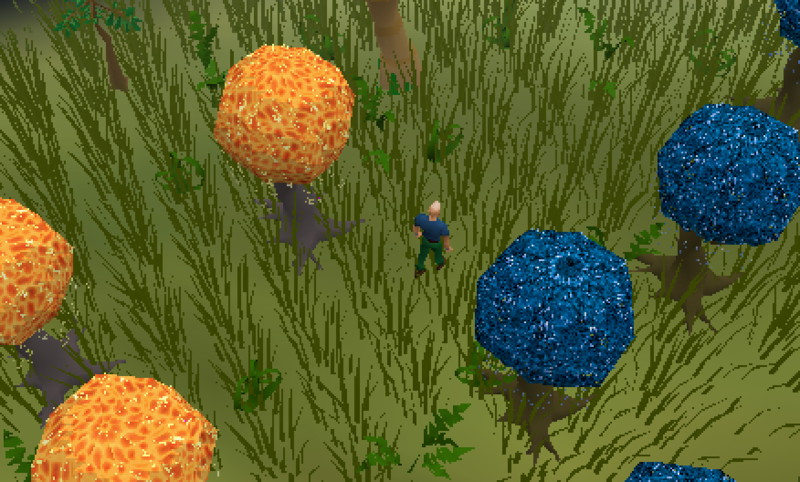 Here you will find lava trees, dream trees and our brand new rainbow fishing spot! 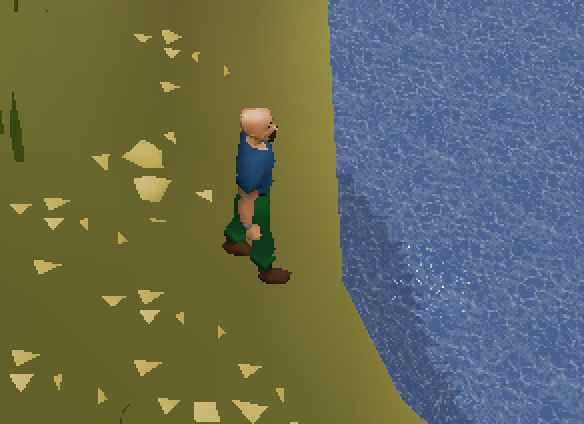 Executives can now fish for rainbow fish! Today we introduce the newest scratch card! 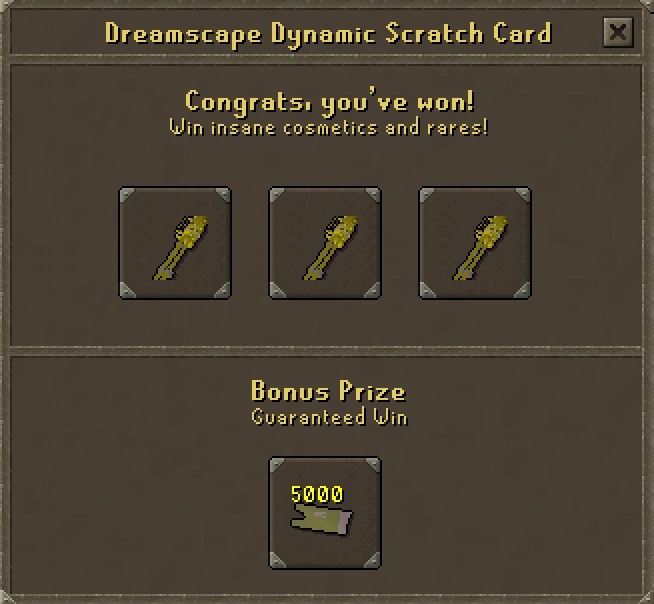 This scratch card functions like a lot of peoples favourite box, the Dynamic Box! This allows admins to add in the most up to date and juiciest loots! We've listened to your feedback and made some major improvements to the sponsor instances! The main change we have made is reducing the respawn rates. To celebrate this release, we've added some new commands for our Executive members! ::wb will allow you to teleport directly to the world boss and mega world boss! We've added a bunch more custom sets to our hall of fame! You can now see some of the amazing customs that have been made for our players! 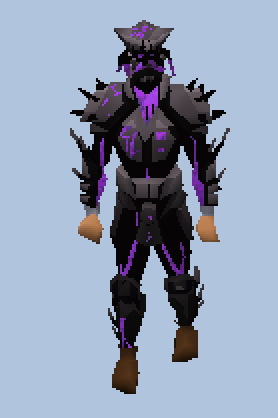 These custom armour sets now also dance and can be seen at the donator room when players donate! As way of thanks for all the hard work put in by our forum moderators and wiki editors we have made two icons that can be earned by those in the role to show off their hard work offline when they are online! Introducing Dreamscapes Hottest 1 In game set! The Inferno Emperor set boasts 25% Drop rate and 50% Double drop rate bonuses and packs an insane Tri-brid punch! My deals is a new fully personalised way of rewarding our donators with even more extras! As well as gaining grand lottery points, donator points and any in game deals running at the time (see ::deals) players can now earn rewards for every 100$ they donate in a 24 hour period! We've created a fully customisable party hat! This party hat allows you to choose which colour it is! We have added this party hat as a dream reward to the Mega Crate! We've added a new feature to the omega set, allowing you to recolour it to any colour of your choosing. To pick the colour of the set, simply put the item on and right click operate it. This can be done individually with different pieces different colours or by simply clicking confirm on each piece you will be able to recolour the whole set to one colour. We've set up a system to reduce spam from youtubers opening boxes! We went back to basics with the Arcade and addressed some player complaints that npc's had been made harder. Increasing AFK penalties and reducing the effect on legitimate players. Market Dc issues have been fixed and you should no longer dc when searching the market. We've fixed an issue with Battlegrounds chests not spawning correctly. 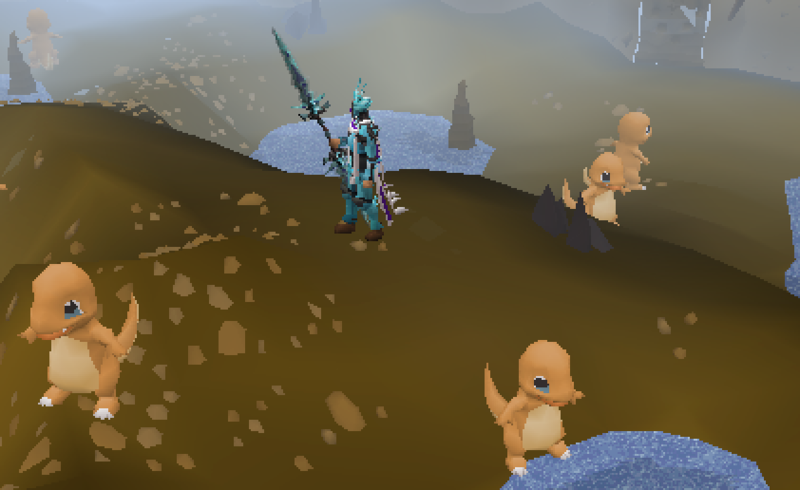 We removed penguins from the ::starterboss interface (now use ::mbox) and have added in the Charizard Raid! 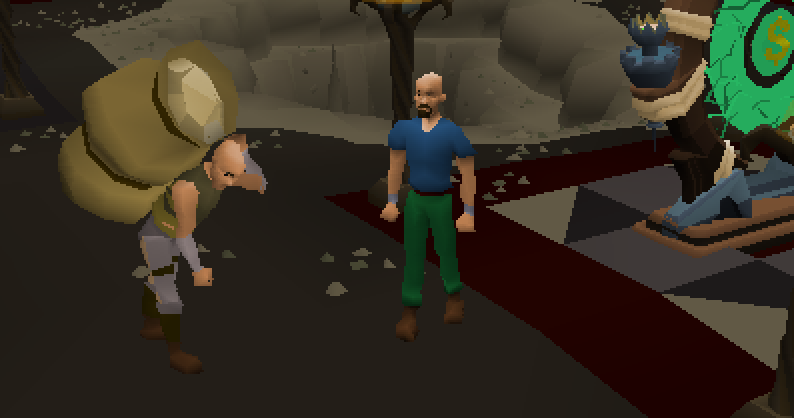 We've removed the dungeoneering tutor from home, to access dungeoneering simply click on the skilling section of the teleport tab. We’ve made the money pouch more user friendly and it will now display the amount in Q after 10m bill checks. 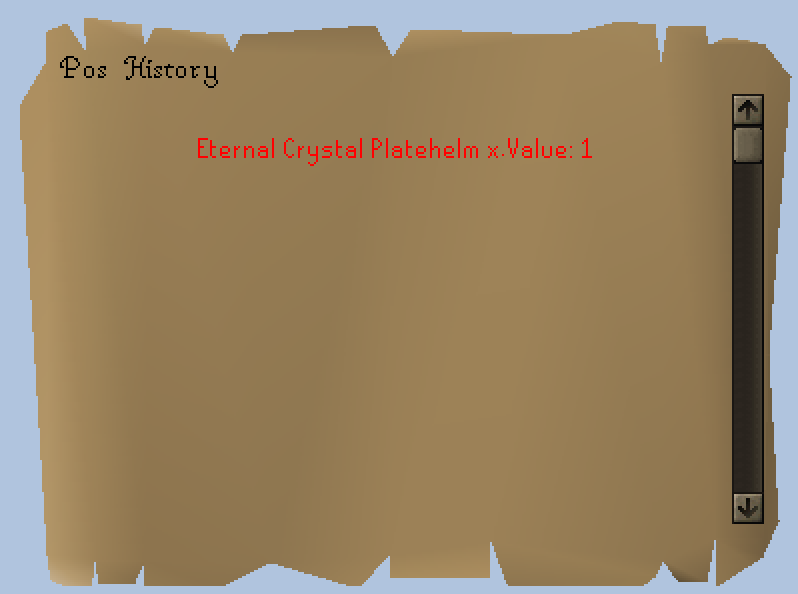 We’ve removed the announcement for the Demon Lectern drop from the theatre of blood. Looks great can't wait to check it out! Awesome update as well as an awesome thread. I'm so glad we have such nice looking update threads! Awesome update! I'm looking forward to camping a few of these new bosses + items ?? Back again with sweet updates!!!!!!!!!!!!!!!!!!!!!!!!!! one question about mydeals, if u donate like $200 in 24h, can u claim it 2 times? Another Amazing update by an awesome dev team ! !